The Evolution 2019 conference was created to address the rapidly evolving and changing online environment. This year it ran for the first time inviting sector experts from trade, marketing, communications and media; during the event, the 280 lecturers examined the ‘online evolution’. It turned out to be a huge occasion with 5 halls, 27 topics, 4 workshops and exclusive research from top contributors. At the 2-day conference, Geomant participated as a sponsor and a lecturer. Our participants Krisztina Pecze, Zoltán Proszenyák and our lecturer, Adorján Bortnyák summarise their experiences at the event. What did you find most interesting about the event? How is Geomant keeping up with digitalisation? What do you think were the most significant trends the lectures were built around? And which lectures did you like best and why? ‘Smarketing’ was a new thought for me at this event. I’m not sure if it’s classed as a new concept/trend or if it’s just a buzzword, but the idea is that the sales team and marketing department work more closely together broadening their knowledge of the customer. I’ve always thought that sales and marketing should have a close relationship, so I was happy to hear that this new approach recognises this and encourages these two departments to think and work together. I thought Tamás Kovalczky's presentation from the company Virgo, was very thought-provoking and interesting too. He talked about artificial intelligence in a sense of it being ‘ever-developing’ and asked questions around if it’s evolution would result in sales systems being able to make independent decisions. Many people have concerns around this, but we still suspect the answer will be yes. Adorján, tell me about your presentation. What was your most important message? 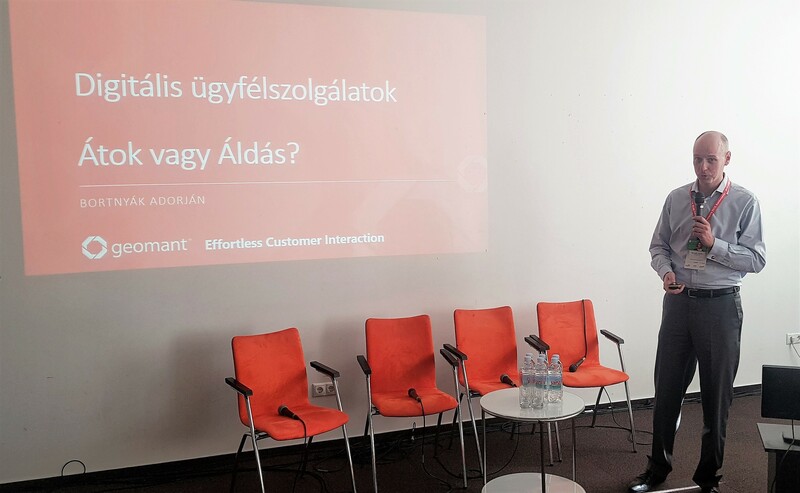 The title of the lecture was: The digital customer relationship – Is it a curse or a blessing for digitalization? At an international level, one of the major challenges facing the customer service segment is the fact that the technologies currently in use are at the forefront of digital development for companies. The products of many manufacturers are not able to change the technology generation, so small island solutions are created instead of unified development. Many people are unable to keep up with the wide range of opportunities and connectivity offered by the digital space that replaces the former single channel solutions. Geomant helps you navigate through the new opportunities and catch up with your customers by creating an orchestration system that combines traditional, well-functioning features, working perfectly in sync with new, complementary solutions, increasing transparency, efficiency, and ultimately, of course, the customer experience. The inclusion of new opportunities provided by the digital environment does not necessarily mean turning our back on old solutions. The question is how can we best operate the classical voice-based customer service with the new channels of digitalisation? How does voice-based client management change into an orchestration system? I tried to answer these questions and offer a solution in my presentation. 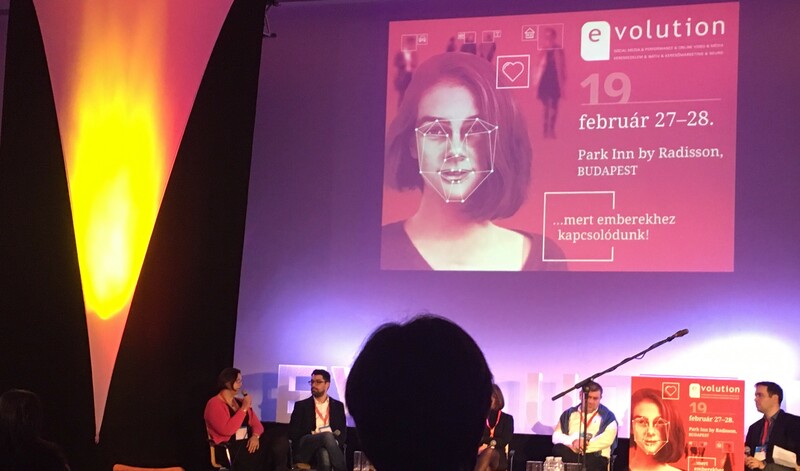 The evolution of the online environment is a huge topic and we’ve only covered a very small part of the conference in this blog. If you have any specific questions about how the online evolution is likely to affect your business and what Geomant can do to help, please get in touch.